Do you remember being a kid and walking through the grocery store thinking, “When I grow up I can buy all the dunkaroos and ice cream I want! No one can stop me!”? No, that was just me? Well, this thought come to me time-and-time again in my childhood. Being an adult to me meant getting to make your own decisions and there were two decisions I couldn’t wait to make: stocking my own fridge and getting my own dog. There are people that like dogs and then there are dog people. My family is the latter. I loved my family dogs. A home didn’t feel complete without a four-legged friend. I even had my first dog’s name picked out in the ninth grade. I graduated from college and three weeks later found myself in New York City. Instead of complete liberation, my mother’s voice ran through my head in the grocery store where I ended up buying fruits and veggies instead of Häagen-Dazs and Doritos (don’t judge me and damn it being so hard to find Dunkaroos). Finally, at 26 years old two magical things occurred. First, Peach moved to New York City and we wrapped up the long-distance portion of our relationship. Then, I got impulsive for the second time in my life. While walking along a street fair in our neighborhood of Astoria, Peach and I stumbled upon a pop-up dog adoption fair. I’d recently taken to scrolling through dog adoption sites and started following Susie’s Senior Dogs. I knew I wanted to adopt an older dog, but I walked into an RV-type vehicle full of adorable puppies. I just looked around thinking that now probably wasn’t the best time to get a dog. There were so many trips coming up (hello weddings). But then I saw him. He stood there in his cage, tail wagging and an enthusiastic smile on his face. Okay, yeah, I know he was just panting but it looked like smiling! The sign said Shyloh, 7-years-old, Jack Russell-Terrier Mix. I left the truck, walked with Peach to a brunch date with our friends, where I announced I might be getting a dog. Our first photo together on adoption day. After a few hours, two walks with (then) Shyloh, a frantic phone call to my parents (who fortunately didn’t pick up) and cutting In Our Hands Rescue a check for the adoption fee, I went home a proud dog owner and promptly changed Shyloy’s name to Mosby*. I had nothing. No dog food. No leash. No kennel. No dog bed. No toys. How did I think I could handle the time commitment of being a dog owner? How much was this going to cost me? I had a bunch of financial goals I wanted to meet before 30. Would this derail me? And why did I pick this dog?! I wanted a big dog and a girl! I’m not a small dog person! Yeah – it wasn’t pretty. Peach had to field a couple of frantic phone calls my first night with Mosby. I texted my cousins with dogs and asked if they too had panicked or if I was just a horrible person not cut out to be a dog owner, despite how much I loved them? They reassured me it was normal (at least in our family) and a month later Mosby was sleeping in my bed and my constant shadow. It’s been six months since I first brought him home. We’ve road tripped to Western New York and flown to North Carolina. He comes into the office with me and proves he’s a born-and-bred New Yorker with his impeccable subway etiquette. But Mosby is definitely a budget buster. 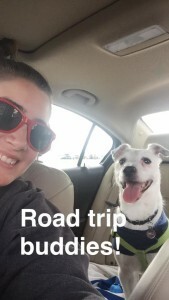 At first it was the start up costs: the adoption fee, a vet visit, getting him food and learning his stomach got upset by that one so trying another brand, getting preventative medicines like HeartGuard, buying a dog bed and a few toys. Like any first-time dog owner (or dare I say parent) I have gone a bit overboard with fancy food, organic treats, specialty lotions for his itchy skin and even one time…a mud bath! My sister made the point of asking if I treat myself as nicely as I treat me dog. The answer is a resounding no. In order to handle having a dependent, and a potential money disaster, Mosby gets his own emergency fund. I keep $1,000 to $1,500 accessible at all times in a savings account to handle unforeseen costs of dog ownership (or the occasional mud bath). And no, I didn’t bother with pet insurance. In total, my impulse purchase cost me $2,114.66 – so far. I tally each penny spent on Mosby in an excel spreadsheet. This single biggest cost thus far was his $400 adoption fee. Next, have been transporting him on trips or paying for a dog-sitter, which I find using Rover*. As I rein in my indulgent spending, and finally found some toys Mosby doesn’t immediately destroy on first contact, the cost of dog ownership is beginning to taper off. But even with over $2,000 spent, an amount that could’ve sent me on a wonderful international vacation or partially funded a Roth IRA or been used to pay rent; it’s completely worth it to me for the amount of love and emotional support Mosby brings into my life. 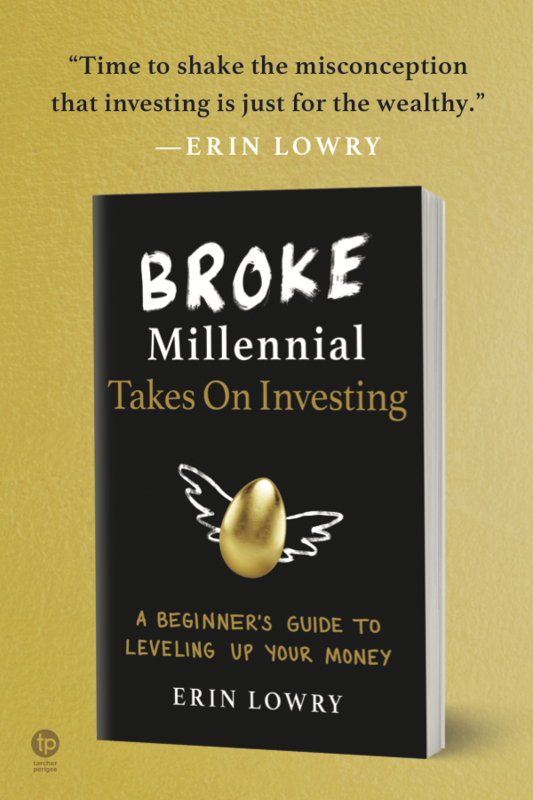 In a fun twist, budgeting for Mosby oddly encouraged me to double-down on other saving strategies and I’ve actually increased my savings rate since his adoption – so I guess he didn’t blow all my financial goals to reach by 30! Well, not yet anyway. *Yes – it’s a reference to the show. No – it isn’t the name I picked out in ninth grade. I’m saving that for my first big dog. *Rover: I will get a referral bonus to use towards Mosby’s next stay if you sign up through my link. Haha! I can totally understand. I’ve got a dog and two cats that I’ve had for years. It was a big hassle when we moved from our house in Alaska to a tiny, 700 sq ft apartment in Colorado, but we wouldn’t have had it any other way. They’re expensive, but I don’t know if I would have it any other way. That being said, I definitely do NTO (<- that is a type from my cat who is currently sitting in my lap trying to hijack the computer) want to buy any more animals. Three is already enough, that's for sure! 700 ft with 3 pets, that is something. But I bet it feels so cozy with them in the winter. I already want another one so badly! I think Mosby needs a doggy sibling. But I so desperately want a big dog (and preferably a pit bull) that I have to wait until I leave NYC because it’s just too hard to get a landlord to okay two dogs, especially a pit. I’m lucky that my first pet was planned. Unfortunately, my husband fell in love with a stray cat shortly after we moved here. Said stray cat had a burn on her paw. Probably $1,500 in vet visits, antibiotics and one test to be sure it wasn’t cancer, and I told him never again. That said, we’re planning on getting a puppy this year. If I had my druthers, it’d be for an adult dog — both for reasons of energy and because everyone wants a puppy. But I’ve been promising him a dog for 9 years. So he gets to pick what he wants. I’m just steeling our bank account for the hit. I’m so down for an older dog as the first dog. 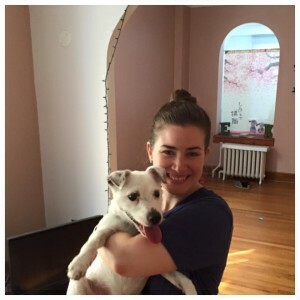 A puppy is A LOT of work and it was so great that Mosby was (mostly) house broken. We had to work through a few territory marking issues (seriously get a girl dog), but now it’s great. – so far… 🙂 I’m too selfish to have a pet. So far indeed. I know it will be a lot more, but that’s part of the reason I’m tracking. It also helps control my urge for another pup! $2000 is much higher than what’ve researched about the cost of a dog in the first year. Good to know. I want a dog or cat but I haven’t been able to pull the trigger mostly due to the money. 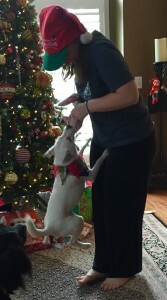 I’ll stick to fostering and dog sitting for now!! Fostering is such a great option, especially if the company pays for food and medical attention. Helps a dog without the financial commitment. I don’t think I ever would’ve pulled the trigger if I analyzed the expense too much because there are just so many other places that money could go. But he’s certainly worth the cost for me. That’s actually lower than I expected! This is a great article that shows what people might not think about when they see a cute puppy in the window. They can get expensive! Also, such a great idea to have a savings fund in case of unexpected injury or illness for Mosby. Vet bills can really pile up fast. It’s great that you adopted an older dog. 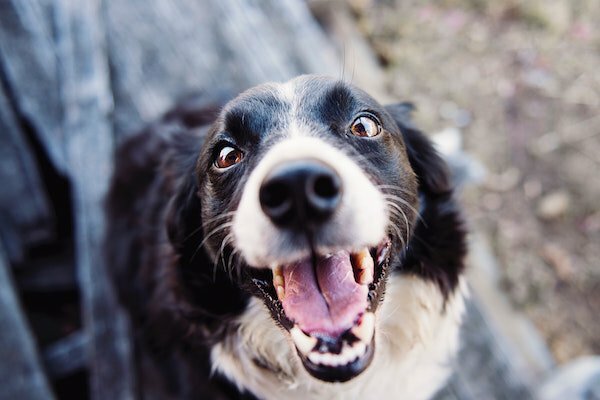 People seem to always be more interested in puppies because of the cute factor, but the reality is that older dogs are a safer bet because they’ve already developed their personalities so you can see if they match up with yours. Puppies can be a little more unpredictable this way. Also, adopting puppies that are mixed breeds can be dangerous because you’re not sure how big they’ll actually get. That’s not a problem with adults because they’re already full grown! I can’t wait to get my own dog soon, now I know how much financial investment to expect. I’ll probably have to over budget because I don’t think I’m as financially savvy as you! Thanks! I am so grateful I got a dog that’s already house broken and doesn’t make a bunch of noise (granted, he wasn’t crate trained and hollered about that once or twice). But the risk of an older dog can be getting one with some emotional issues lingering from the previous owner. Luckily, that’s usually simple to asses before the adoption. Thanks for breaking this down. Now that I’m debt free, I REALLY want a cat, but don’t know if I’m ready. My sister really wants to adopt a dog (probably obvious given the shirt she’s wearing in that top picture), but I told her not to do it until she could save $1,500 just for the dog. Cats are probably a little less expensive, but I’d definitely save up first! I’m very impressed by your dog expense record keeping. But, seriously, having a dog or a cat around reduces our stress levels, right? I know chilling with my cat makes working from home 100 x better. So it’s sort of like a wellness expense. And I’m really looking forward to the day when I’m ready to adopt a dog. Amen to that! I never thought I’d want to work from home regularly, but now working from home on (just on occasion) is way more enjoyable with Mosby around. Plus, his need to go outside ensures I actually leave the house and can’t be a hermit. Dogs are also good exercise enforcers, at least in NYC, because I don’t have a yard to let him out in so we always have to go for walks. Great post! Julep was somewhat of an impulse for us too, but she’s part of our family and we wouldn’t have it any other way. Me either! But impulse buy ever. Proud to have my first granddog. The impulse buy was a (good) surprise. I’m glad you love Mosby, Dad! Such a smart idea to itemize your spending with Mosby!! I want to make the jump to dog-ownership so badly, and seeing your numbers breakdown makes it seem so much more do-able and less far away. It will happen! Just keep tucking away a little bit at a time. Thanks, Holly! I know you’re also into rescuing as well. I really can’t wait to get another. I think Mosby needs a sibling! I respect the way you manage all that. My famili and I decided not to have dog for some time since our last one died last year. I really love dogs but they cost too much if you want to give them proper care and food. Last year I spent k10$ for two surgeries and medics for my German Shepard, he died two months after. I was sad and mad on my self because I spent that much money. But I couldn’t watch him crawling. I wish I had come across this blog sooner!! I’ve found jobs throughout my time at college using WayUp, a site that matches students with jobs that fit their qualifications and whatnot. Even though I’ve had numerous jobs, I always seem to be broke!! 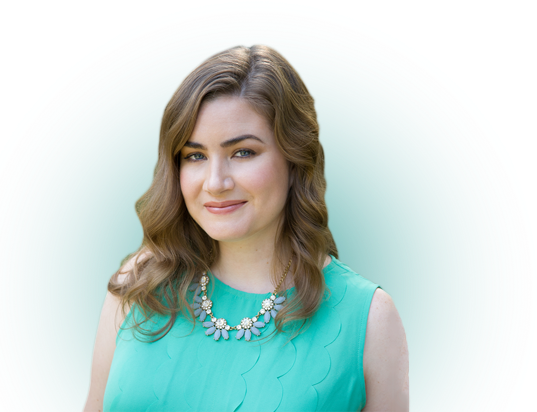 I’ll definitely be spending my weekend reading this blog to learn how to budget myself… I highly recommend signing up for WayUp if you are in need of a job or internship though!! Thanks, Madeline. WayUp seems to be generating a lot of conversation lately. I hope it works out for you. I impulse bought our pup and do not regret it! Although, he is a handful. Just tonight, he ran into a wall getting so excited that our roommate came home and probably caused $100+ dollars in damage because it put a hole in our dry wall. Love him though! I find that having a dog has made saving easier since I’m less inclined to go out and when I do go out, I don’t stay out since I have to be back to let him out. That must be a sizeable pup to put that big a dent in your wall! That’s so great though. I can’t wait to get Mosby a “little” sibling, that will certainly be significantly bigger. And I agree about it saving you money because you have to go home to take care of the dog first or might just want to stay in for the snuggles. I have a plan to have my student loans paid off in three years. The thing I’m looking forward to the most about being debt-free is finally being able to adopt two dogs! I thought I would have two for my first dog experience too. If I had waited until I lived outside of NYC or lived with Peach, then maybe I would’ve. I’m already pumped for the day Mosby can get a dog sibling. Mosby. BEST. Impulse. Purchase. Ever!! I feel you! I got a rabbit in the second year of college thinking it would cost me roughly the same as a hamster. I ended up getting him a friend, getting them fixed, upgrading their cage, then upgrading it again. I paid for damages to apartments and vet bills. Then when my first little guy passed away, I got another rabbit who needed costly surgery in the first year I had her. Thank goodness for pet emergency funds! That all being said though, I wouldn’t change a thing. I love these little creatures and they’ve been like a furry support system for the past seven years. Good luck with Mosby, he looks so sweet! Rabbits are adorable! I almost bought a chinchilla in college because I was pretty sure I could hide him in the dorms (I was an RA…). Glad I didn’t pull the trigger on that decision. Where did she get that shirt, the “i am trying to make friends with your dog not flirt with you” one. I need that in my life. I made it for her! 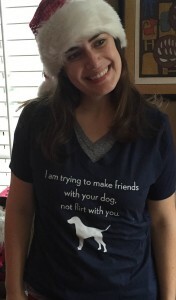 My sister is the most witty person I know and she actually wrote on Facebook “All I want for Christmas is a shirt that says, ‘I’m trying to make friends with your dog, not flirt with you.” So I had it made!